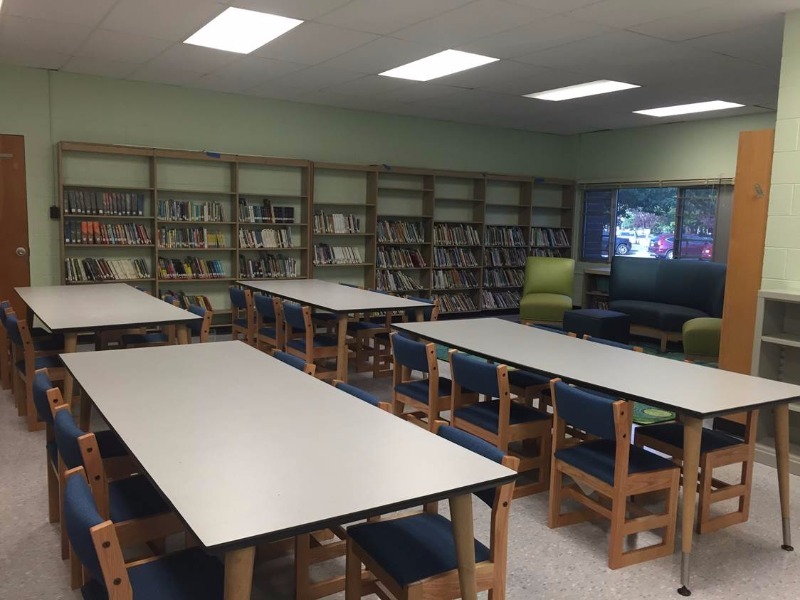 East Dover Elementary School has a new Media Center. Our students have raised over $20,000 create a space where students can take out book, learn about literature, and become "Makers". 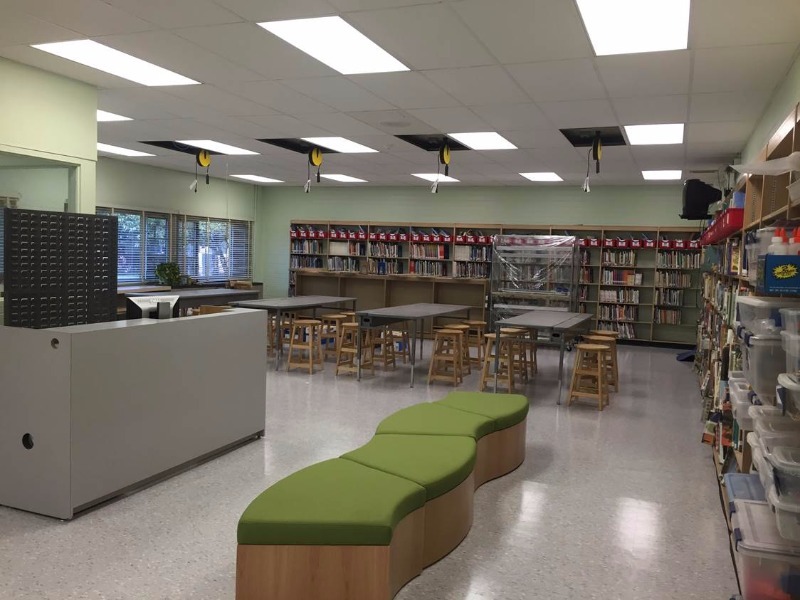 Our Seeds of Inspiration Classroom will be located in a section of our Media Center. Students in grades kindergarten – fifth grade will use this classroom to explore robotics, the Engineer Design Process and STEM ( Science, Technology, Engineering,and Mathematics) projects. Students will be able to create a sustainable garden that will be used to help reinforce the Next Generation Science Standards Disciplinary Core Ideas. These learning experiences will employ engineering, science, art, and entrepreneurial skills while tapping into real life problem solving skills. Lessons in this model classroom will encourage and emphasize creativity, problem solving, and collaboration among students. Our vision is to have a classroom that provides the students with the educational and technology tools needed to excel in the 21st Century. Our classroom will allow students to be engaged in the instructional strategies that we have implemented. 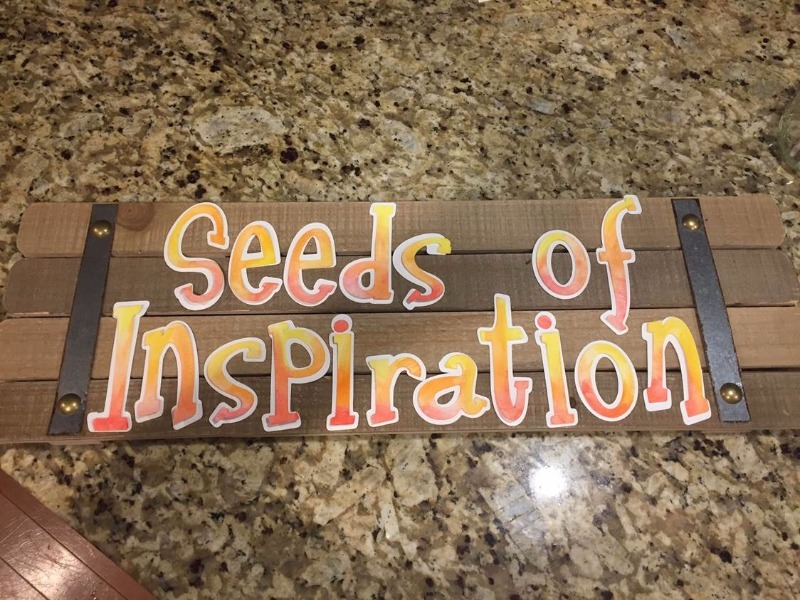 With the expansion and creation of our Seeds of Inspiration, students will have the opportunity to work with their P.A.W. Buddies to create and design using technology. Students will plants seeds and observe them growing. Students will learn the necessary steps to grow herbs, vegetables, and flowers. This instruction will emphasize experimentation and exploration integrated with classroom curricula.